The average person spends three whole years of their life sitting on the toilet. Over $100,000 were spent on a study to determine whether most people put their paper on the holder with the flap in front or behind. Three out of four people have the flap in the front. Albert Einstein was made an honorary member of the Plumbers and Steamfitters Union after he had announcement that he would be a plumber if he had to live his life all over again. The most famous plumbers ever are Mario and Luigi. The toilet is flushed more times during the super bowl halftime than at any time during the year. The word “plumber” comes from the latin word “plumbum”, which means “lead”. Manhole covers are circular because if they’re turned sideways, they can’t fall through their own opening. Standardized plumbing can be traced back to around 3,000 BC. 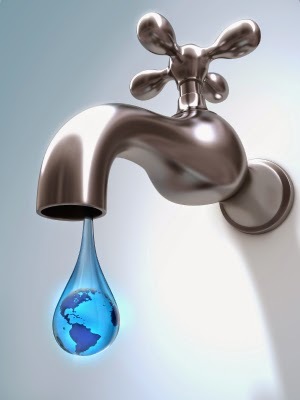 If you have a leaky faucet that drips twice per minute, you’ll waste over a gallon of water in a week. Have you ever heard the myth about water flowing in the opposite direction in the Southern Hemisphere? It’s not true. It’s possible for water to flow either direction in either Hemisphere. In 1939, Al Moen invented the single handle faucet that can control hot and cold water in just one turn. 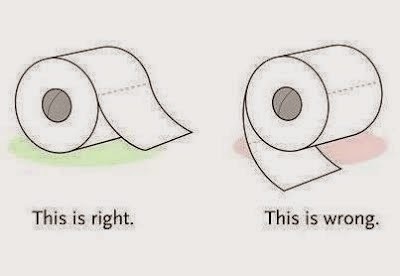 The average person visits the toilet six to eight times per day. Water is the number one natural resource in the world. We use it in our daily lives. We drink it, cook with it, bathe with it, and use it in our everyday function. We can’t live without water. Americans are fortunate enough to have potable water in our homes. The water purification plants do everything possible to bring clean water to our homes. They add chlorine to try to clean it up, but as much as they try to clean it, they could only do so much. Tap water is full of chlorine, lead, bacteria, hormones, and drug-by-products.The average person shouldn’t be consuming tap water without a filter. American families have grown accustomed to drinking bottled water at home. It’s healthier, cleaner, taste better and not full of chemicals, which is the reason why nobody wants to drink tap water. But bottled water ends up costing a fortune and is harmful to the environment. Plastic bottles are polluting our planet. We have recycling centers all over, but unfortunately, not everyone recycles. Plastic bottles, end up every where. Most plastic bottles take 450 years to decompose. And not all plastic bottles are recyclable. Which makes you think! Clean purified water at your convenience should be something to look into. Water purification systems will save your health, the environment, and of course money in the long run. Here at Kevin Szabo Jr Plumbing, we suggest a whole house water purification system. This way your entire house has clean, purified water. You will notice the difference right away. It’s understandable if you can’t make that purchase right now. At least invest in a under sink water filter. This way, your family has clean drinking and cooking water. If you have any questions about water filtration systems for your home, please email or call me. I'm a full time plumber in Tinley Park and Orland Park IL. I own and operate a plumbing and sewer business. I'm blessed to wake up every morning loving what I do, and doing what I love. Every new and old customer becomes a part of the family. With age, I've learned that working as a plumber isn't just a job, you have families depending on you. You have to be there for them when ever they need you. Day or night, weekends and holidays.